Today, Cabot Corporation (NYSE: CBT) announced that it has reached an agreement to have SunPower (NASDAQ: SPWR) install a 1.12-megawatt solar project paired with a 470-kilowatt (940-kilowatt hour) integrated energy storage system at Cabot's Business and Technology Center in Billerica, Massachusetts. This commitment is a first for Cabot and will contribute to its long-term sustainability efforts by helping to advance solar development in the state and meet Massachusetts' renewable energy commitments. Start of construction is targeted for summer 2019. The integrated solar parking canopy project will feature high-efficiency SunPower® solar panels installed across multiple solar parking canopies, and is expected to produce enough electricity to offset approximately 20 percent of the facility's energy needs thereby reducing Cabot's grid energy costs. The energy storage system installed with the project will provide additional savings by decreasing electricity demand charges during peak hours. "At Cabot, we are committed to sustainability and recognize that renewable energy plays an important role in building a more sustainable future," said Karen Rankin, Director of Sustainability and Regulatory Affairs, Cabot Corporation. "We're thrilled to bring this project to one of our main hubs for technology innovation, as this investment helps demonstrate the value of renewable energy while also delivering the added benefit of providing solar parking canopies and automobile charging stations for our employees." Cabot is financing the Helix® solar-plus-storage project through a power purchase agreement (PPA) arranged by SunPower, allowing Cabot to buy power at competitive prices and hedge against future utility rate increases. The project will also be supported by the new Solar Massachusetts Renewable Target (SMART) Program which was established by Massachusetts Department of Energy Resources (DOER) to encourage development of solar in the state. "We congratulate Cabot for investing in this innovative solar and storage project to help offset consumption of traditional energy sources in the company's home state of Massachusetts," said Nam Nguyen, SunPower Executive Vice President, Commercial Americas. "More corporations across the U.S. are choosing solar to cost-effectively meet electricity demand, and SunPower's complete Helix solar and storage solutions are designed to maximize value for these customers." SunPower, the No. 1 commercial solar provider in America with the most megawatts installed according to Wood Mackenzie (formerly GTM Research), has a footprint across the U.S. including Massachusetts and New England. For more on how SunPower is helping corporate customers in the area drive down electricity costs while generating reliable energy over the long term, visit www.SunPower.com/Massachusetts. Cabot Corporation (NYSE: CBT) is a global specialty chemicals and performance materials company, headquartered in Boston, Massachusetts. The company is a leading provider of rubber and specialty carbons, activated carbon, inkjet colorants, cesium formate drilling fluids, fumed silica and aerogel. 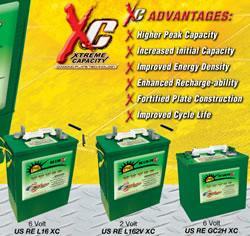 For more information on Cabot, please visit the company's website at: http://www.cabotcorp.com.